The image shown here represents an important date in the history of surveying. 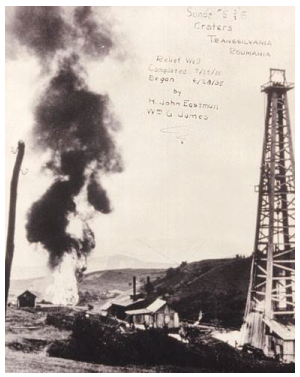 In 1935, H John Eastman and William G James managed to extinguish a blowing-out well from a significant distance away. Listen to the audio file to find out more.